The popular image of a church is that of a selfless organization unconcerned with financial gain. 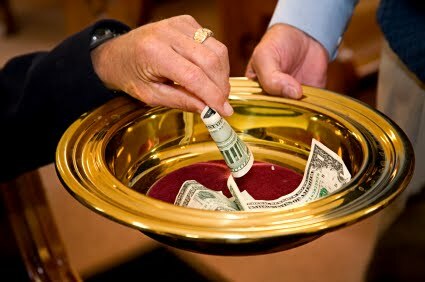 It is reflected in the fact that churches receive tax-exempt status from federal and state governments. But that doesn’t mean that churches are not, at least partially, money-making enterprises. Though official records are scarce, the world’s major churches are all believed to collect annual revenues in excess of several billion dollars. The Church of Jesus Christ of Latter-Day Saints has long been one of the world’s wealthiest religious groups. In 1997, Time Magazine found that current LDS assets totaled $30 billion. If LDS were a corporation, Time continued, its estimated $5.9 billion in annual revenues would have placed it midway through the Fortune 500. In 2005, MSNBC reported that the Roman Catholic Church owned more real estate globally than any other organization or individual on earth. In 2001, an official report stated that the church’s real estate activities in fiscal year 2000 produced a $30 billion profit. The Boston Globe found that “contributions from worldwide dioceses” totaled $92.9 million in 2005, while individual donations made directly to the Pope neared $60 million.